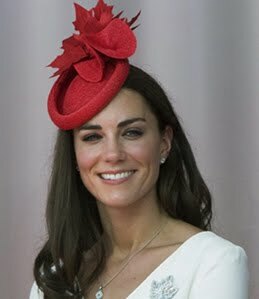 This is diamond brooch in the shape of a maple leaf, the symbol of Canada (which is part of the British Commonwealth). It was a gift from King George IV for his wife Elizabeth, the Queen Mother, before their tour of Canada started. 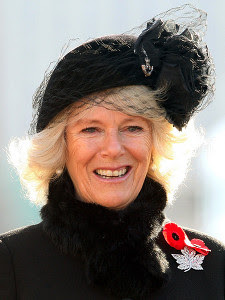 After the Queen Mother passed away in 2002, this brooch was inherited by her daughter Queen Elizabeth II. 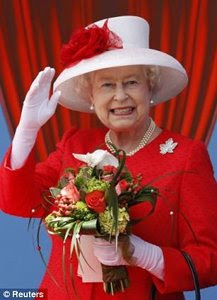 Her Majesty continues the tradition to wear this brooch when she visits Canada or Canada-related events. 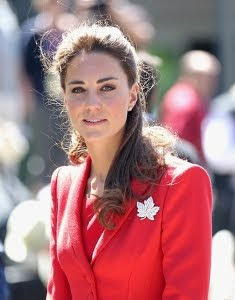 For that purpose the Queen loaned the brooch to the Duchess of Cornwall and the Duchess of Cambridge, when they visited Canada. Pictures: Reuters, Canadian Press, Wireimage, Getty Images.